Overlapping surgery, a well-established practice in which a surgeon performs critical parts of a procedure and then departs to perform another procedure just beginning, has received intense scrutiny in recent years by critics who argue the practice is unsafe. But a new JAMA study found outcomes for neurosurgery patients who received overlapping surgery were the same as those of patients who didn't receive such treatment. 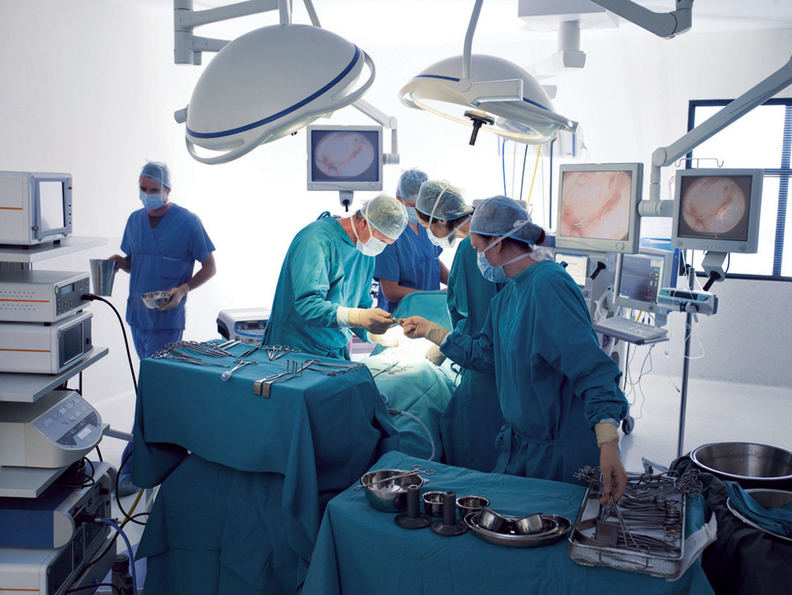 Overlapping surgery is commonly performed in busy academic centers to make optimal use of surgical teams. Despite how common it is, only four studies have been published that evaluate the outcomes for patients who receive overlapping surgeries. Each study didn't find overlapping surgery caused increased risk for complications. This most recent JAMA study is the first to look at patient outcomes for overlapping surgery 90 days after the procedure. "Even after 90 days there was no difference (in patient outcomes)," said Dr. Daniel Barrow, senior author of the study and chief of neurosurgery at Emory University Hospital in Atlanta. Reports in the Seattle Times and the Boston Globe prompted a national debate on the use of overlapping surgery. The stories suggested that the use of concurrent surgeries caused higher complication rates for patients at Swedish Health in Seattle, Wash., and Massachusetts General Hospital. Concurrent surgery is a similar controversial practice in which a surgeon is involved in critical parts of two procedures at the same time. In response to the 2016 Boston Globe story, the Senate Finance Committee that called out — among other things — the lack of research on the safety of overlapping and concurrent surgeries. Barrow agreed, saying "We need more data to prove this is safe or not safe." The JAMA study compared mortality, morbidity and functional status data between 972 neurosurgeries performed without overlapping and 1,303 neurosurgeries performed with overlapping at Emory University Hospital from January 2014 to December 2015. There was no difference in outcomes between overlapping surgery and non-overlapping surgery, the study said. "These data suggest that overlapping neurosurgery is safe and has the potential to benefit patients by maximizing efficiency and making highly sought-after specialists available to a greater number of patients," the authors wrote. The study is limited in the fact that only neurosurgeon patients at Emory were involved. Barrow said he hopes more hospitals that perform overlapping surgery look comparatively at their own outcomes data to ensure policies in place provide the safest care to patients. The authors emphasize that the attending surgeon should have the responsibility to decide which patients can have overlapping surgery. "Surgeons must use their experience, keen intuition and respect for their own ability and limitations to carefully select patients for overlapping surgery," they wrote. Neurosurgery, one of the more complicated surgical specialties, was the subject of the Seattle Times investigation on concurrent surgeries at Swedish Health. In a commentary in response to the JAMA study, Dr. David Hoyt, the executive director of the American College of Surgeons, said the report provides "one of the most comprehensive statistical evaluations on this topic to date." He added that more data on overlapping surgery will continuously be evaluated.